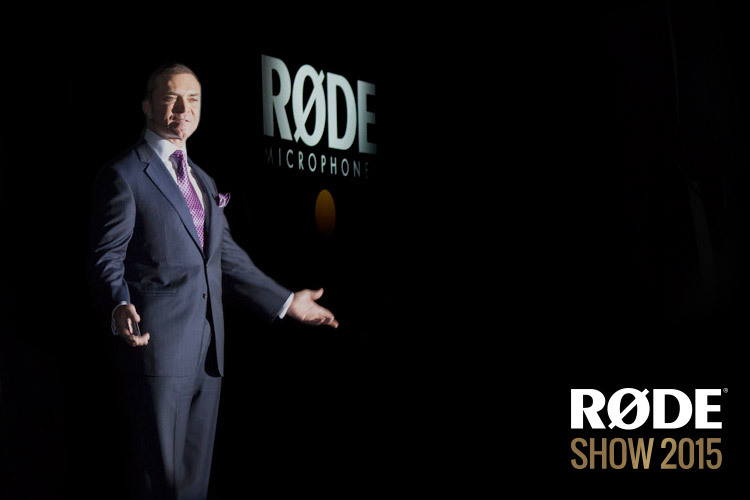 RØDE Microphones has held the largest simultaneous product launch in the company’s history, introducing multiple new products and categories at an exclusive event in San Diego, USA. Headlining the event is the new RØDELink Digital Wireless System. A fully-digital wireless audio system, RØDELink utilizes a next-generation 2.4GHz, 128-bit encrypted digital transmission sent on two channels simultaneously, providing a high-resolution 24-bit/44.1k digital audio signal at a range of up to 100 meters (over 100 yards). 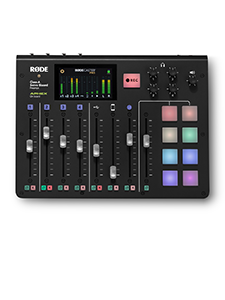 The RØDELink system will consist of a number of receiver and transmitter options, and will be available in kits for specific audio solutions across film, news gathering, presentation and stage use. 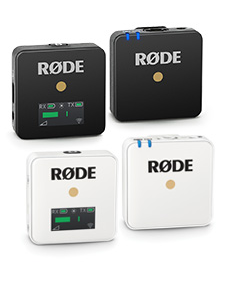 The first of these to be released – The Filmmaker Kit, will consist of a beltpack transmitter, on-camera or beltpack receiver, and RØDE’s broadcast quality Lavalier microphone. The RØDELink Filmmaker kit will be shipping globally in April 2015. For more information, please visit http://www.rode.com/wireless. Continuing to drive innovation in the broadcast audio industry, RØDE has also announced two new shotgun microphones, the NTG4 and NTG4+. Drawing on the success of the current RØDE shotgun mic range, but with a wealth of innovative features, the NTG4 and NTG4+ are set to once again define RØDE as the industry-standard for broadcast microphones for enthusiasts and professionals alike. Starting with an all-new capsule, the NTG4 and NTG4+ exhibit lower noise and higher sensitivity, giving you cleaner audio at the source. On-board digital switching now controls a 75Hz high pass filter, 10db PAD and innovative high frequency boost which was first available on the Stereo VideoMic X, allowing you to compensate for any high frequency attenuation when using a DeadCat style furry windshield. Enhancing the dual-powered flexibility of the NTG2, the NTG4+ comes equipped with an internal rechargeable lithium battery, a world first for a professional shotgun microphone. Providing up to 150 hours operating time, the battery is conveniently charged via any USB power source using the supplied MicroUSB cable. The NTG4 and NTG4+ will be available globally in February 2015. For more information, please visit www.rode.com/ntg4. 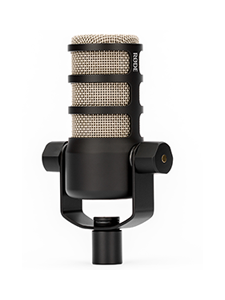 The final product announcement of the night was the highly anticipated launch of the new RØDE NTR Ribbon Microphone. The NTR is unlike any ribbon microphone ever created. The unique design places the ribbon distinctly separate to the microphone frame and body, allowing the greatest possible acoustic transparency around the ribbon element and minimising resonance. The ribbon element itself is designed completely from scratch, using extremely fine aluminium that is only 1.8 microns thick - one of the thinnest ribbons in existence. An innovative, in-house, proprietary technique was developed to laser cut the ribbon, giving a level of precision and accuracy never before seen in a ribbon microphone. Surrounding the ribbon element is a chemically etched all-metal layer of mesh – the same used on the SMR pop shield. This is extremely rigid while exhibiting super low density, resulting in greater acoustic transparency. Married to RØDE’s ribbon element is a high output, ultra-low noise, low impedance transformer. Combined with world-class active electronics, this allows the NTR to be used with a wide range of preamps without the additional gain requirements of many other ribbon offerings. The NTR will be available globally in February 2015. For more information, please visit www.rode.com/ntr.